Mac Repair London offers a comprehensive range of Apple Mac mini repair and upgrade services from upgrading your memory (RAM) or hard drive to replacing a faulty optical drive or logic board of your Mac desktop computer. 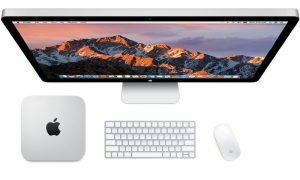 Our Apple Mac repair technicians and engineers are trained and experienced to handle any issue with your Mac mini including computer won’t turn on, Mac startup problems, Mac mini overheating, graphics issues, computer unexpectedly restarts or slow Mac performance. If you have any questions about our London Mac mini repair or upgrade services, please feel free to call us at 020 7394 2528 or e-mail at info@mac-repair.london.